Bid More. If you can do more, you can bid more. Sioux Chief makes contractors more capable. With PowerPEX, you can bid PEX potable installations in one of three core PEX fitting systems. This can make you distinct from your competition - and help you grow relationships with your builder and developer partners. Winning Bids. Winning bids is an art and science. The art? Be different. Bid differently by giving your customer options. Sioux Chief empowers with those options. The science? Speed. Labor savings is critical. It is as - or more important than saving money on materials. Saving labor, through innovations, never creates a callback and does not put the brand at risk like other "cost saving" ideas. Labor Savings. Labor savings is the key to success in the business of rough plumbing. Hold the line on quality - find savings with speed. And Sioux Chief products are a great place to start. The line of full of products - in Supply, Drainage and Support - that shave seconds and minutes and hours from installations. And, they do so while holding the line on quality and advancing your brand. Quality Brand. Quality saves. It saves on time. It saves on stress. More importantly, quality sells. Sioux Chief is the essence of rough plumbing quality. We control quality from raw material to finished goods. We ensure our quality copper, brass and plastic products are beyond reproach. And, we back it up with a world class warranty. Logistics. For a rough plumbing contractor, logistics are half the battle. Saving time at the installation is important; but, saving before the installation is just as important. And, rough plumbing logistics can be more complicated than meets the eye: bidding, planning, buying, receiving, handling, shipping, stationing, pre-assembling and more. 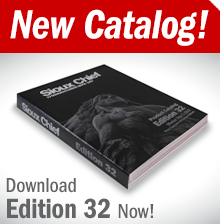 Many Sioux Chief products are designed as logistics solutions, such as preformed copper, Roughup Kits and modular products such as the OxBox, the Finish Line, the 821 and the shower drain series. When searching for labor savings to give your company an edge, consider how Sioux Chief can save you money before the installation too.